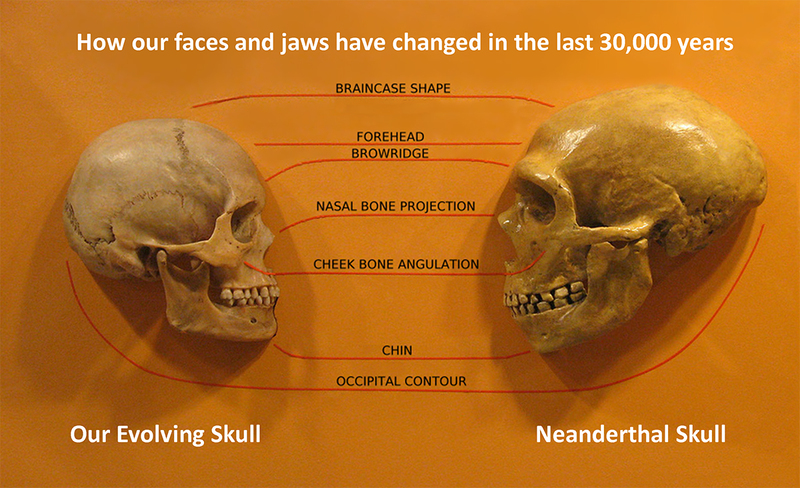 30,000 years ago, our Neanderthal ancestors had large jaws and full sets of teeth including wisdom teeth to cope with a very different diet and lifestyle. Nowadays we have evolved flatter facial profiles, so the last molar teeth tend to get crowded at the back of our smaller jaws, hence why some of us have problems with our wisdom teeth. Assessment of the tooth space requirement, we inform you whether the teeth’s arrival are going to be easy or difficult and explain strategies to deal with the situation. X-ray assessment – is always needed. We also use 3D “CBCT” scanning as well for more difficult cases, where roots are close to structure like nerves. We metaphorically (and if necessary literally) hold your hand through the entire experience, and pride ourselves on our gentle but effective local anaesthesia with nitrous oxide conscious sedation available if requested. We believe the selection of the right pain relief/analgesia regime relative to the degree of difficulty of the tooth removal helps to assure immediate effective pain relief and a fast post-operative transition into the recovery phase. Clear post-operative care instructions and care arrangements, which are vital for managing the “wisdom tooth journey”. We work to make your third molar experience a non-event, and just one of those milestones of life to journey past: we believe our careful assessment and sympathetic treatment approach can achieve this.